Faith Christian Academy has a NEW HOME! We are now located on the campus of Enchanted Hills Baptist Church. 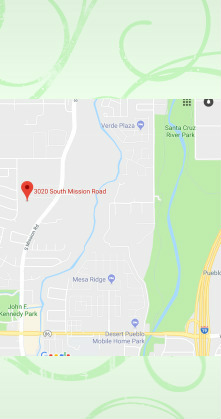 We are conveniently located between 36th St. and Ajo Road on the west side of Mission Road. From I-10, take the 22nd St. Exit and head west. Follow the signs for Mission Road and turn left (south). Follow Mission Road until you see the driveway on the right side of the road. From I-19, take the Ajo Road exit and head west. Turn right onto Mission Road until you see the church sign on the left side of the road.